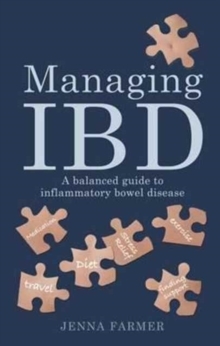 Inflammatory bowel disease (IBD) is the term that includes Crohn's disease (which can affect any part of the gut) and ulcerative colitis (which affects the colon) - two chronic auto-immune conditions that cause gut pain, whole-body symptoms and poor digestion leading to nutritional deficiencies. Both are on the rise in the developed world and are newly affecting developing economies such as China (where the author was actually diagnosed). The link with the standard Western lifestyle is evident, yet what elements of that lifestyle can be modified to make a difference? And how can sufferers live with symptoms and 'flare ups' that do not respond to treatment and/or lifestyle changes? What is the real-life experience of IBD and what can be done to take back control? 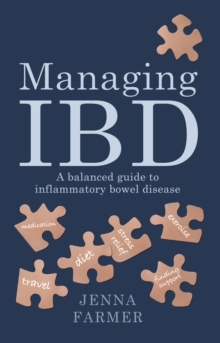 Jenna Farmer offers an holistic and positive guide to living with IBD, combining conventional, nutritional, stress reduction and other lifestyle approaches, drawing on her blogs, ebooks and website www.abalancedbelly.co.uk. Throughout, the book is 'illustrated' with case histories from Jenna's blog and other contacts, and from her own experience of delayed diagnosis and listening to her symptoms.